Technology has become an integral part of life and education. Learn how St. Cecelia School uses technology to prepare our students for the future here. As most of you are aware, technology continues to rapidly evolve. 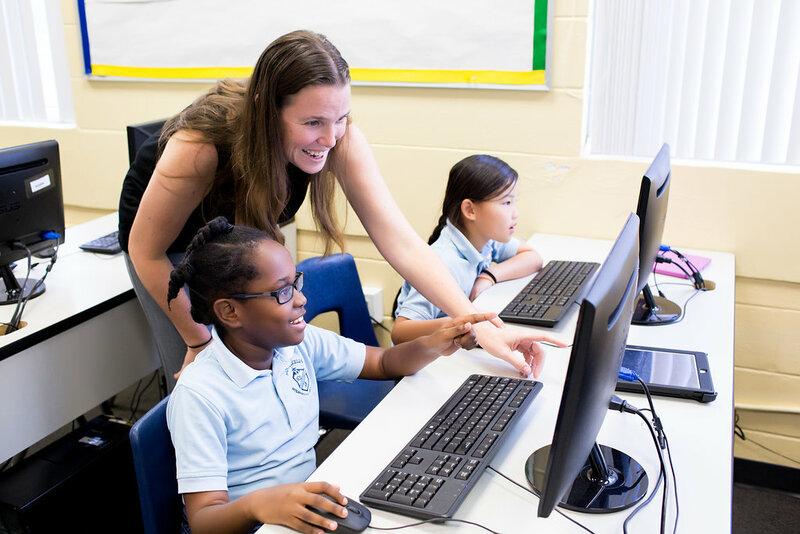 Our goal is to ensure our students have access to the best technology possible ensuring St. Cecelia Catholic School remains a leader in our community while educating our students and integrating new technologies into our curriculum. With this objective in mind, we are excited to announce our new iPad program which will ensure our students have access to the best technology resources available and our devices are refreshed on regular intervals. Our students have been using iPads in their classrooms since 2014 when our 1:1 iPad Program was first introduced. We are very proud of our successful iPad Program along with all of the other devices and technology being used on our campus. Since last year our SAC Technology Committee comprised of a group of teachers, staff members, administrators, parents, and technology professionals, has been researching devices in order to assure our continued success with incorporating technology into the learning experience. After much deliberation and at the recommendation of this committee, the decision was made to go to school owned iPads for the second through eighth graders. Starting next year, every student (Pre-K4 through eighth grade) will be charged a rental/device fee. The amount due will vary depending on the device and the grade level of the student. Why make the change to school owned devices? What are the benefits to using school owned devices? The annual rental/device fee will include the use of a school owned device, case (depending on the device), and insurance coverage. We are working hard to secure the best deal and don’t have the exact prices yet, but our goal is to keep the monthly fee at or under $15. We wanted to make you aware of this change, so your family doesn’t purchase a new iPad for school use. Once we have secured the best prices, more specific information will be sent home. We have created the following link to address some frequently asked questions about this change (FAQ’s). After reading this information, please address additional questions or concerns to tech@st-cecelia.org.